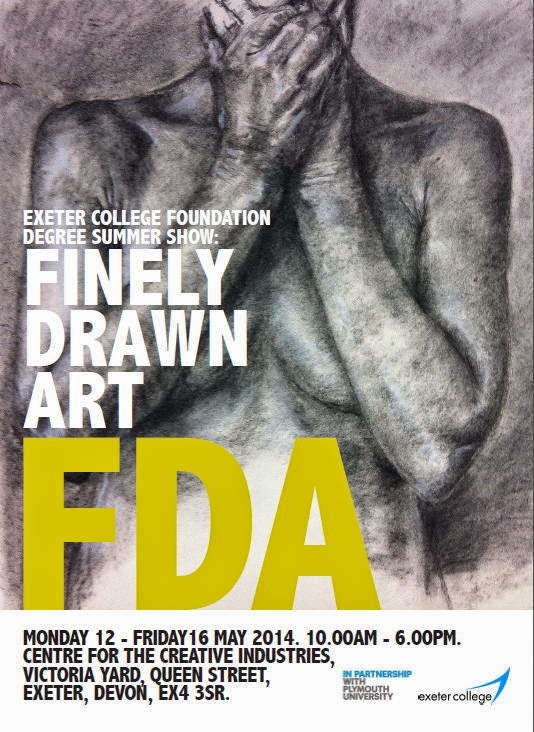 If you are in Exeter this week, the Exeter College FdA exhibition is on from 12th to 16th May in the Centre for Creative Industries, opposite central station. It's open from 10 to 6 pm daily. The exhibition includes fine art, photography and graphic design. The open evening, when the contributors will be around, is from 6 to 8.30 pm on Thursday 15th May.